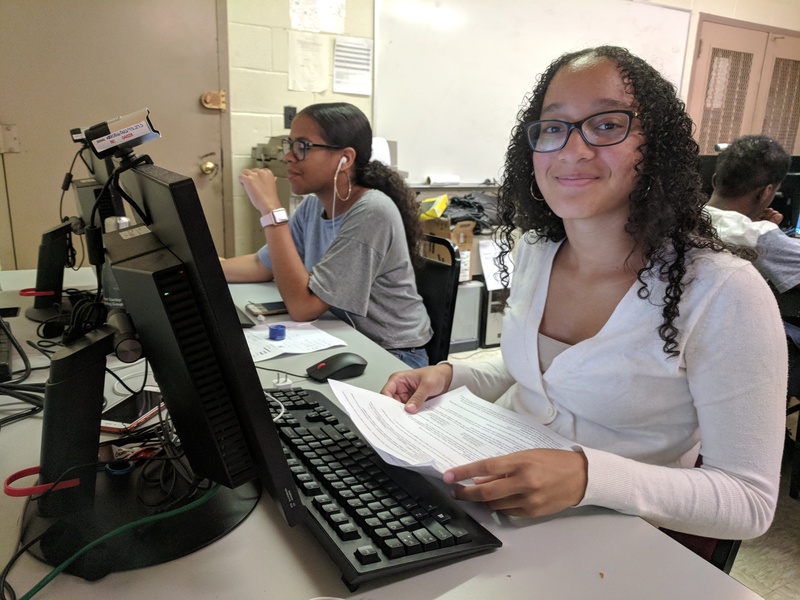 The six-week class, offered by Queens Community House, takes place 20 hours a week and is a component of DYCD’s Summer Youth Employment Program (SYEP). Rodriguez and her classmates are learning coding basics and how to build their own websites. The class, which is aimed at 14 and 15 year olds, allows students to explore computer sciences at an early age. Despite the growing demand in the field, it’s still not offered widely in schools. Further, according to Girls Who Code, by 2027, less than 25% of women will be represented in computer science fields. Queens Community House provides 1,300 SYEP participants between the ages of 14 and 24 with paid employment throughout the summer. Participants work in a variety of entry-level jobs at government agencies, non-profit organizations, hospitals, summer camps, law firms, and retail businesses, and are offered job readiness, career exploration, and financial literacy workshops.